SiteGround has spent the past several years growing from humble beginnings in a college dorm room to the preferred hosting provider for 1.6 million websites. Their customer service is award-winning, providing 24/7 support around the clock, at no cost to their customers. 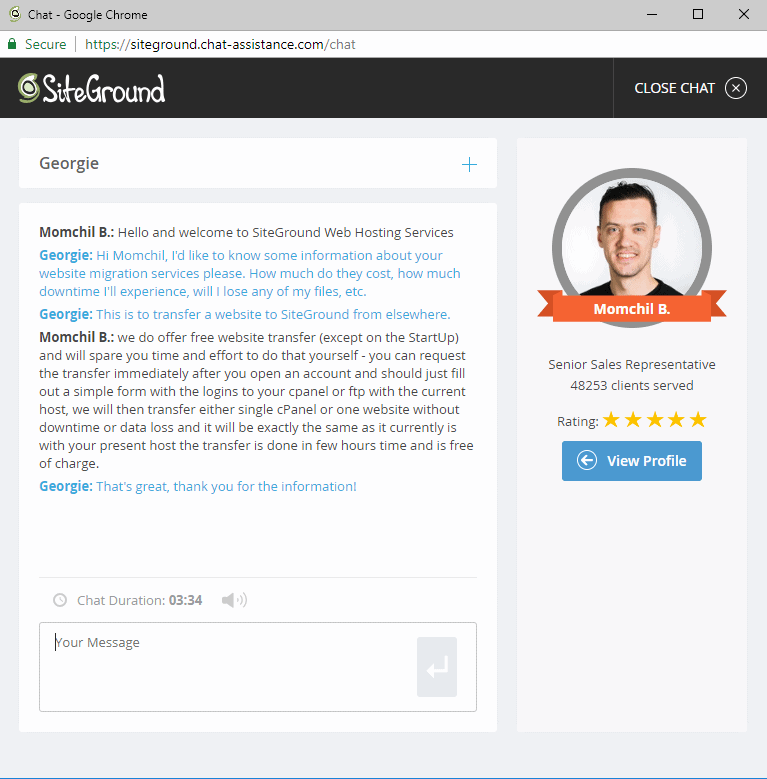 In the following SiteGround review, I’ll share my own first-hand experience of being a SiteGround customer (this site is hosted with SiteGround). 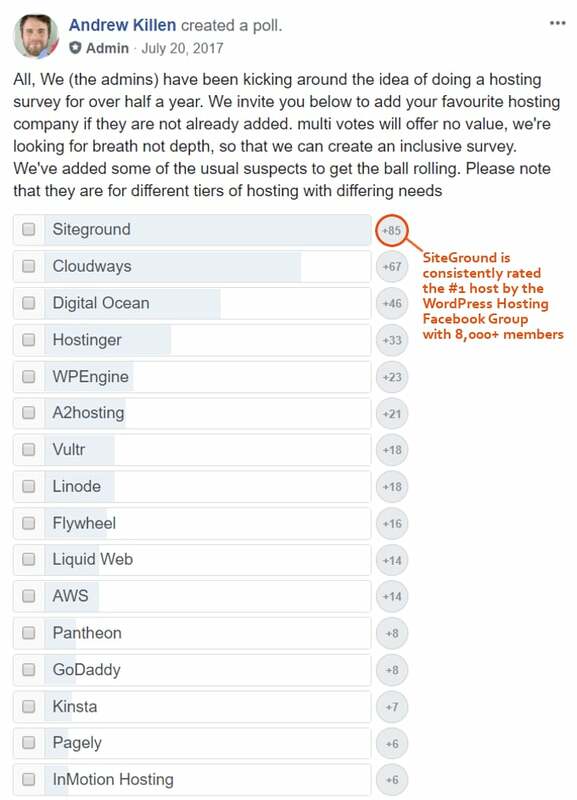 SiteGround have consistently come up as the number 1 rated hosting company on the WordPress Hosting Facebook Group which has over 8000 members. Want to read reviews of existing customers? We’ve collected 100’s of customer reviews over the years (just scroll down to the bottom of this review). What’s more, they continuously receive positive feedback on their Twitter page. 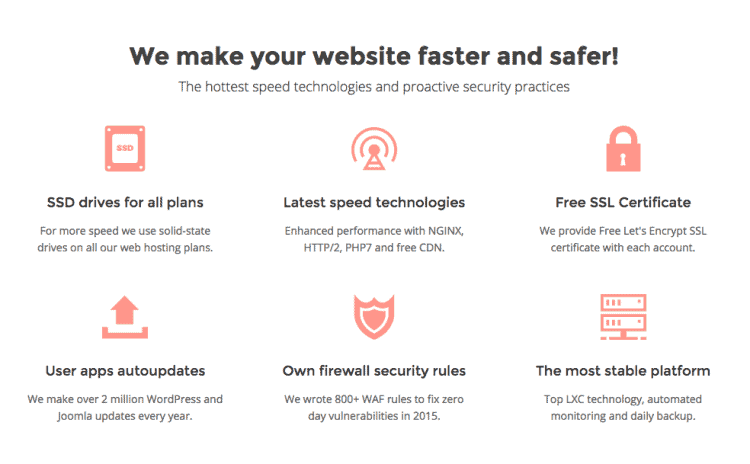 SiteGround is the only web host featured on the WordPress, Joomla, and Drupal hosting pages. One of the main reasons I love SiteGround is their server performance and reliability. I’ll show you my website’s real time data and statistics in a minute! Firstly, I want to show my appreciation to SiteGround’s openness and honesty about their servers. 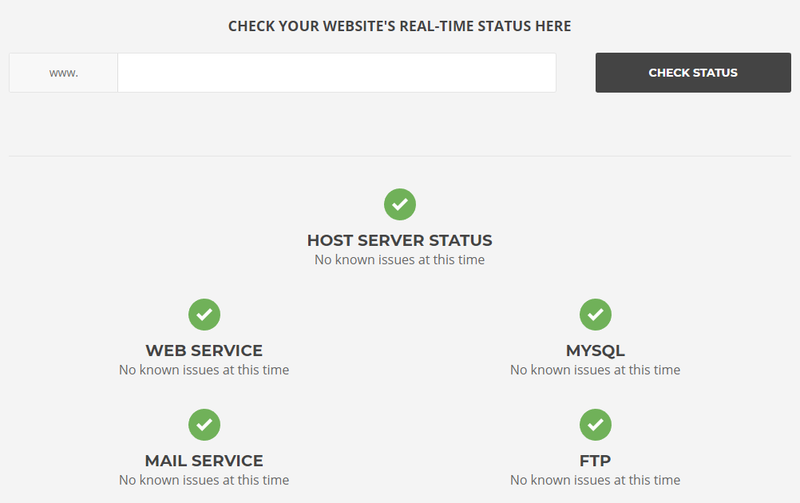 Their website allows you to check the status of your website at any time using their real-time checker. This has always given me confidence that SiteGround doesn’t shy away from the truth. They also make their overall statistics public, so there’s no hiding! And best of all, if they can’t keep to their promises, they’ll compensate their customers. In order to track my website’s uptime and server response time, I also signed up to UptimeRobot. You can monitor the performance of any website, generating some pretty interesting and awesome data. However, since this 1 minute blip, I have enjoyed nearly 600 hours of uptime using SiteGround to host my website. In fact, in the last 24 hours, 7 days, and 30 days, I’ve experienced 100% uptime. Next I used Pingdom’s Website Speed Test to see how my un-optimised website would fair against others in a speed test. As you can see, my site was tested using the closest server location I could find on Pingdom, which turned out to be Stockholm. That’s just over 1,185 miles from my chosen SiteGround server location of London! Considering I had literally installed WordPress‘s Twenty-Seventeen theme and hadn’t optimised my website in any way, I thought the results were quite good. The results pretty much fall in line with my Pingdom tests which gives me confidence this data is accurate. Kissmetrics support the notion that many studies have found. If your website doesn’t load within 3 seconds, you’re going to start losing visitors! Website users are impatient, bottom line. Next up I wanted to see the real impact that SiteGround’s SuperCacher would have on my website. Again, this is bearing in mind that I haven’t done anything to optimise my website at this stage. 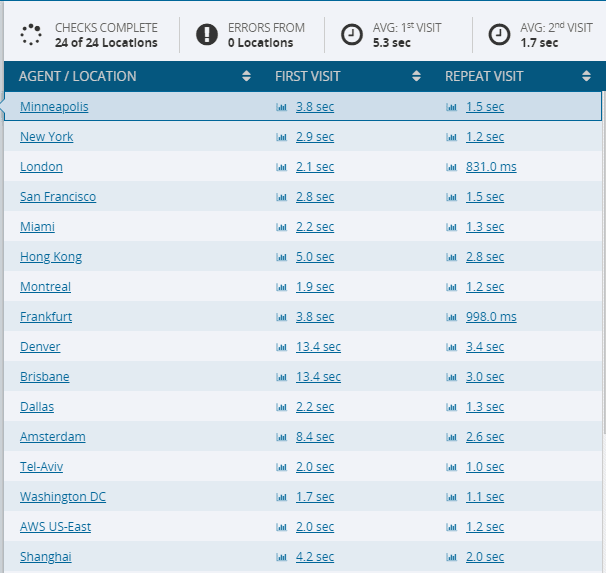 I used dotcom-tools to test my website speed across 24 worldwide locations. Now, I’m going to geek out a bit here, but these results are pretty exciting! SuperCacher caches static content, meaning the second time you visit a web page, the content will load faster. There is a clear difference between the first visit and repeat visit on these results. Once I’ve optimised my website a bit more, I’ll provide some more data for you to check out. I believe one of the reasons SiteGround is able to produce such great performance is because they invest in their speed technology. You can see just how great some of this stuff really is! Most other web hosts I’ve encountered offer standard HDD drives, with the option to purchase an SSD at a premium. 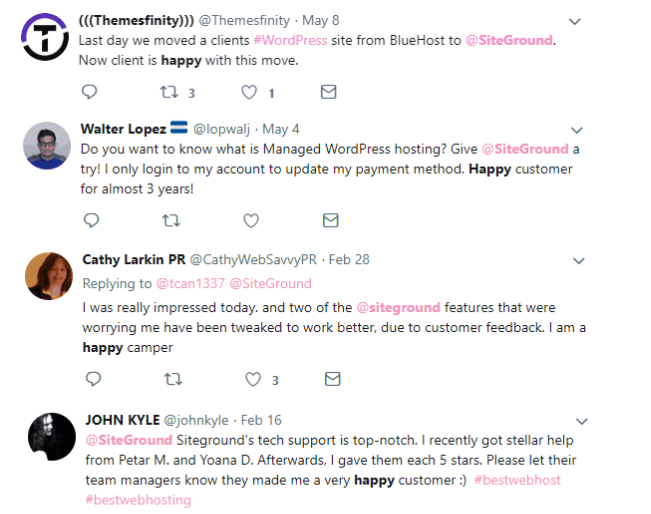 SiteGround have clearly done their research and thought “you know what, our customers deserve better!” and that’s another reason why I love them! NGINX technology should be something every web host uses! I won’t bore you with the gruesome details, so if you want to know more, you can read about it here. The point I’m trying to make is that SiteGround always go that extra mile for their customers and it really pays off. I’m like a kid in a sweet shop when it comes to SiteGround’s SuperCacher. Firstly, can we just appreciate the fact that SiteGround have given birth to experts who have created this amazing plugin just for their customers. If you’re using WordPress, Joomla, or Drupal, you can take advantage of this awesome plugin! I don’t know about you, but when I look for a web host, I get drawn to the ones that offer more. In this case, I’m talking about data centers! How important are they? Very! If your server is hosted in the U.K. but your target audience for website visitors is in the U.S., they’re going to receive some pretty shoddy loading speeds. Choose SiteGround like me, and you’ll have the option of 4 data centers! This is always a hot topic when it comes to web host reviews, and rightly so! Trust me, there are unfortunately some web hosts out there that focus so much on what they offer that they forget they actually have customers. Lucky for us, SiteGround is a company who actually pride themselves on their customer support. Not only is their support really good, they’re again open and honest about their waiting times (which are really good). As we saw earlier in the Twitter reviews, people notice a good service, and SiteGround are one of those companies that offers it! Throughout this SiteGround review, I’ve covered the technical details of what SiteGround can offer. Hopefully, you’ll agree that their features are pretty impressive! But, what does it all mean for customers like us? I’m going to give you my opinion, based on my experience of why I think SiteGround is great, and also the areas they don’t excel in. This should give you a better understanding of how SiteGround could be the perfect web host for you. Unsurprisingly, there are a lot more pros than cons! As it’s not physically possible to guarantee a 100% uptime, I always look for a host that can offer at least 99.9% uptime. SiteGround do just that, but they do it even better in my opinion. Publishing their stats actually puts them one step ahead of all other web hosts for me. When a company has the confidence to be honest, you know that they’re going to be good! Their monthly average uptime for June 2018 was 99.999%. 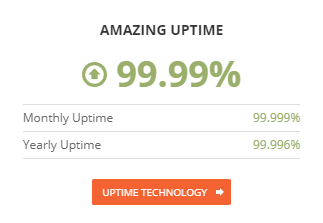 My website hosted with SiteGround came up trumps with 100% uptime for the month of June. What does this mean for you? If you host your website with SiteGround, you’re guaranteed that your website will be available 99.99% of the time! In the performance section of my review above, I showed you that my website was loading in 965 ms (faster than 89% of sites). That test was on my un-optimised website. I’ve just enabled the first step of SuperCacher and I’ve already shaved more than 200 ms off of my load time. See, it really does work! Think how effective that would be on a website with tonnes more data. With any website, big or small, it’s so important to have a backup of your files. If I had spent a couple of hours or even days working on my website, only for something to go wrong and lose all my work, I’d be pretty gutted! SiteGround backup every customer’s website on a daily basis. If you run your own backup and it goes wrong, or you forget to do it, you can speak to their support team to get your data recovered. I purchased their StartUp plan, so I get one backup each day if required. 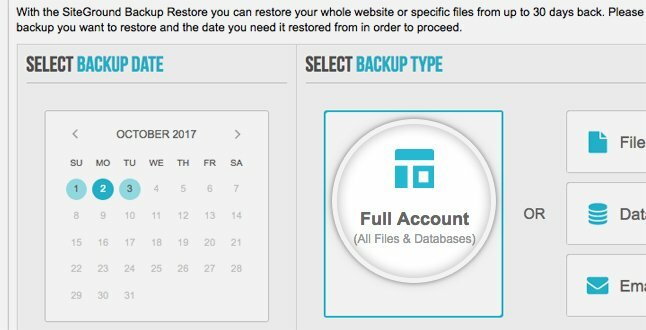 If you think you may need more than that, their GrowBig and GoGeek plans offer entire website backups with restoration options. This is a bit of a geeky feature that I love. cPanel is a well recognised control panel where you can manage your web hosting, domains, etc. The reason I love cPanel is because it’s easy to use and most things can be done with the click of a button. Having the ability to install WordPress, Magento, etc. is a life saver! Whether you’re an experienced developer or a beginner, cPanel makes everyone’s experience so much easier! If you’re moving from one web host to another, it’s good to look out for free site migration. Why? Well, it just makes everything a lot easier! I know I wouldn’t feel comfortable transferring all my files from one server to another! Before signing up to SiteGround I had previously heard that they offer free site migration. Most hosts actually charge to transfer your files, which isn’t particularly fair in my eyes. If you know what you’re doing then the process doesn’t require much effort at all. But for people like me, it’s nice to know your web host has your back if something goes wrong! I spoke to SiteGround’s live chat to ask them about the migration process. As you can see they answered everything I asked in one message, and confirmed that the free site migration is available to all customers on the GrowBig and GoGeek plans. I don’t know about you, but when I’m hosting my website (my pride and joy) with a web host, I like to know that there’s security measures in place to protect me! SiteGround have some pretty awesome security features that give me the confidence I need to host with them. Anti-Spam: SpamAssassin is a brilliant tool to ensure that your website mailbox doesn’t get flooded with spam mail, as well as mail that could be potentially harmful (not just annoying). 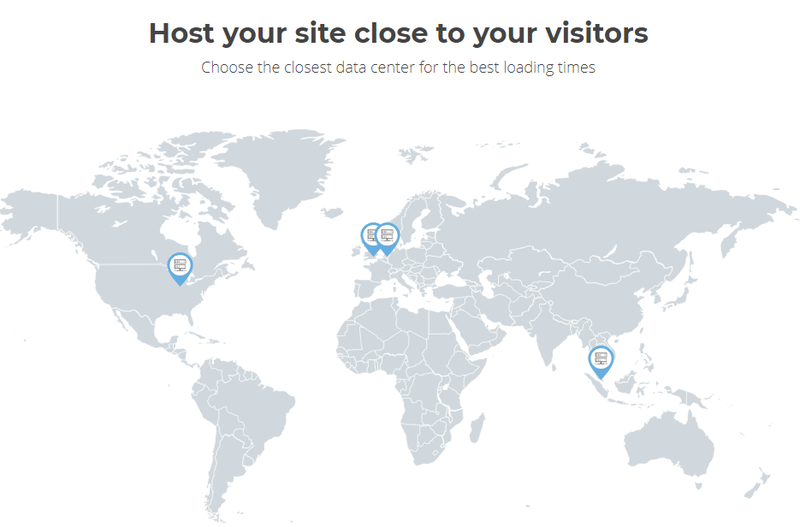 CDN service: CloudFlare is an awesome CDN provided for free to SiteGround customers. Just check it out for yourselves and be amazed! SiteCheck: An automatic tool that scans software to ensure your website is running as best as it can be. That’s a lot of information that probably means nothing to you, so I’ve identified what type of website would be suitable for each plan. If SiteGround labelled their plans similarly to the above, they’d probably make more sense! No, SiteGround’s plans aren’t as generous as others when it comes to storage, however, most web pages don’t exceed 3MB in size! That’s the point I was getting at to start off with. 10GB might not sound much, but you’d need a pretty hefty website to exceed that even if you tried really hard! Now that I’ve covered what I think about SiteGround, it’s time to decide whether it’s the right web host for you! If you think it is, it would only be right to assess which hosting plan suits your website’s needs. How many websites should I have? Do I need multiple databases? What plan is right for my business? This is the plan that I chose for my website hosting to write this review. At a bargain price of £2.95 per month, it felt silly to miss out on! Plus, you actually get tonnes of features for your money. This is clearly SiteGround’s cheapest plan, but again they don’t shy away from offering all of their customers something decent for their money. I would personally recommend this plan for those who are looking to run a small website, small business, or blog. It’s time to step things up a notch! But really, is it that big of a leap? Not in terms of price, no! SiteGround’s GrowBig plan is only £4.95, the difference of a packet of crisps and a chocolate bar. It’s kind of in the name this one… if you’re ready to take your website to the next level, you’ll notice the difference in price. BUT you do get a lot more for your money. If you’re going to setup an eCommerce website, this is 100% the option I’d suggest for you. If you’re just running a small or medium website, business, or blog, it’s not worth spending the extra. The main purpose of this plan like I said is for eCommerce users. Your website will be on a server with less users, so there won’t be such a battle for resources, making your website faster (much better if you have people online shopping)! Do I Recommend SiteGround Hosting? If you’re looking for a fast and reliable web host, then I’d say that SiteGround is a brilliant choice; even if you’re a beginner in the web hosting or website building realms, SiteGround will hold your hand throughout the process, making everything as easy as possible (customer service is outstanding!). Another nice addition for beginners is the fact that they have bundled in a Weebly website builder (for free!). Also commendable is something I’ve mentioned several times in this SiteGround review, the perfect combination of high-performance technology and beginner-level user-friendliness. Trust me, I wasn’t super techy before writing these reviews, and I’m not especially now! SiteGround is leading the way in terms of providing the best possible customer service (industry leading), whilst giving you solid service and superb value for money. I personally use SiteGround and I can’t fault it (this site is hosted on a GrowBig plan). Please note that some links within our site are affiliate links. This helps us fund the expenses of testing and analyzing the web hosting providers. We are independently owned and our personal opinions expressed in all of our web reviews are our own. Earnings disclosure: Please note that some of the links on this site are affiliate links. This helps us fund the expenses of testing and analyzing the hosting companies below. These are also contained within our web hosting reviews.